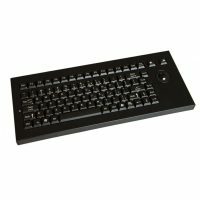 This 105 key keyboard features a compact rubber keyboard with integrated waterproof pointing device and seperate numpad. 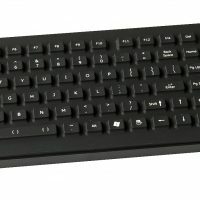 The backlit keys warrant for optimized performance while working in low-light environments. 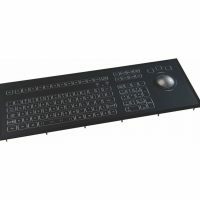 A non-backlit version is also available and a version with VESA-mounting. 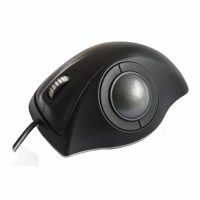 Options include NVIS compatible backlighting and custom dimming settings.